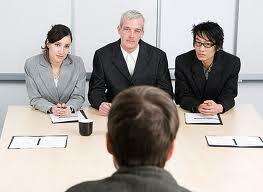 When you go to for job interview there are some questions that you can be pretty sure you will be asked. One of these, and the one that a lot of people have difficulty answering, is “how would you deal with a conflict situation?” It may not be asked in exactly those words but that is the gist of the question. I deliver a course for a local community project to help people who have become unemployed to prepare for job seeking and find that this is a question that people tend to dread and to avoid. However, as conflict is inevitable, employers are looking for people who know how to deal with a conflict in a competent, professional manner. The workplace is full of situations where conflict may occur. There can be awkward customers or customers with a legitimate complaint but who are so angry that it is difficult to deal with them. There are conflicts between team mates and co-workers. Managers and supervisors frequently have to deal with subordinates who are not up to scratch or who are causing trouble. Workers have to deal with managers who are not able to deal constructively with conflict and have to ‘manage up’. Suppliers can be late with deliveries or deliver the wrong order. The list is endless. One thing you can be sure of is that you will encounter conflict at work. So, how do you deal with question, “tell me how you dealt with conflict with a supplier/customer/co-worker/subordinate?” It is vital that you prepare for this question and that you have a convincing answer. The best answer will be a real one – the story of a real situation where you dealt constructively with a conflict situation. You need to demonstrate core skills and competencies. You need to show that you can listen, that you can empathise, that you can see the other person’s side, that you can work collaboratively to resolve a situation, that you can de-escalate a situation and not escalate, and also that you can stand your ground when necessary. Perhaps you have dealt with a conflict in the past but were not happy with how you behaved or with the outcome. Revisiting it in a conflict coaching can help you to reappraise the situation and look at how you could have dealt with it differently.